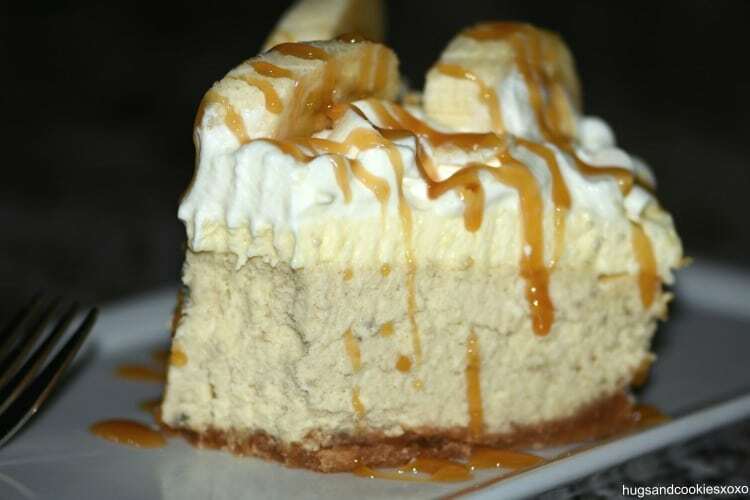 Have you been to the Cheesecake Factory and tried their amazing banana cheesecake? 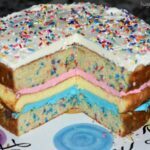 Well, now you can make it at home because this tastes just like it…like really!!!! 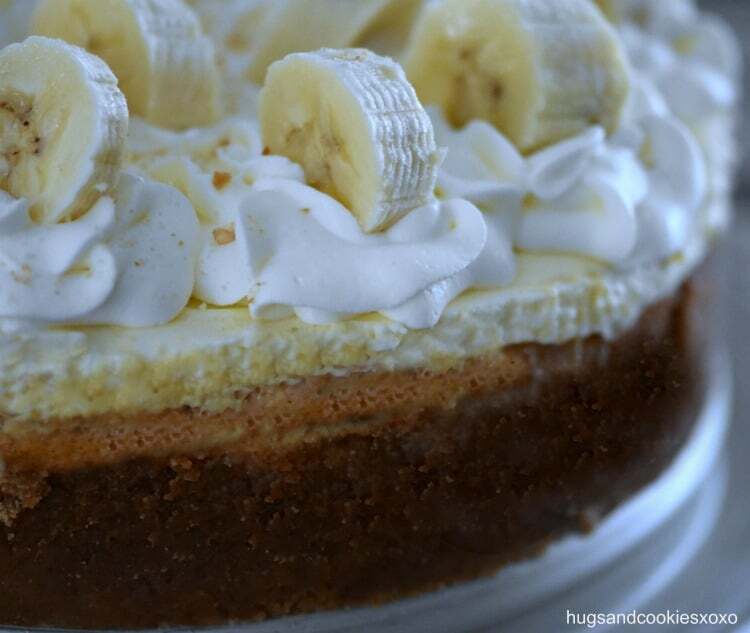 This fresh banana cream cheesecake is to die for. 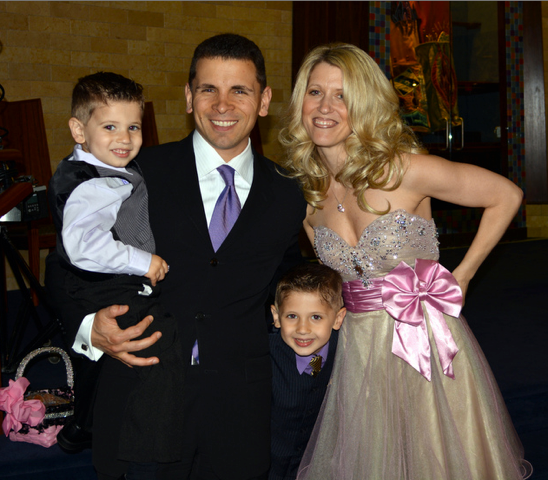 It has a few steps but in the end they are all worth it. The crust is made from Nilla wafer cookies making it slightly more delicious than a graham cracker crust! 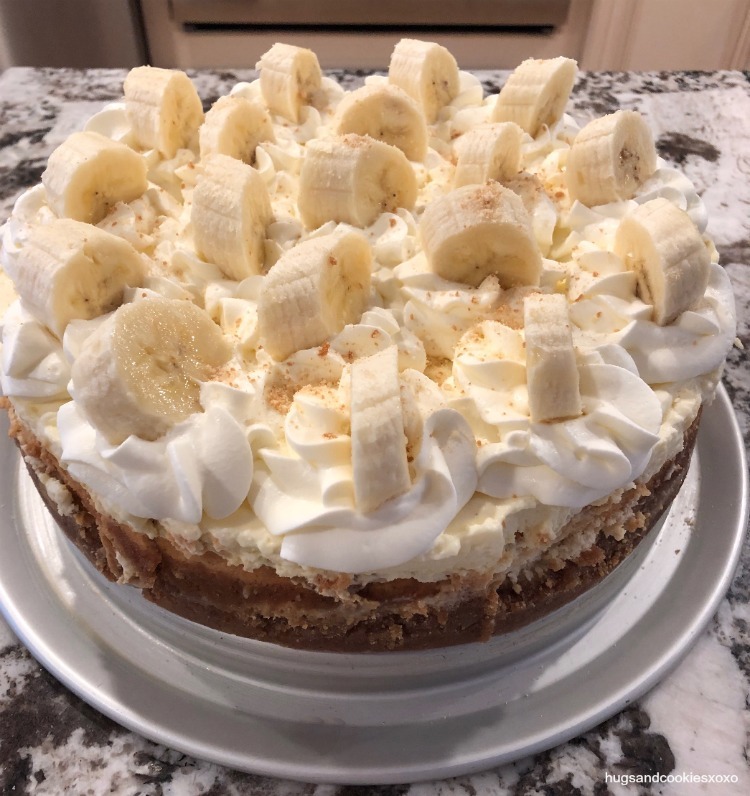 Then, you have the banana cheesecake layer made with pureed fresh bananas. 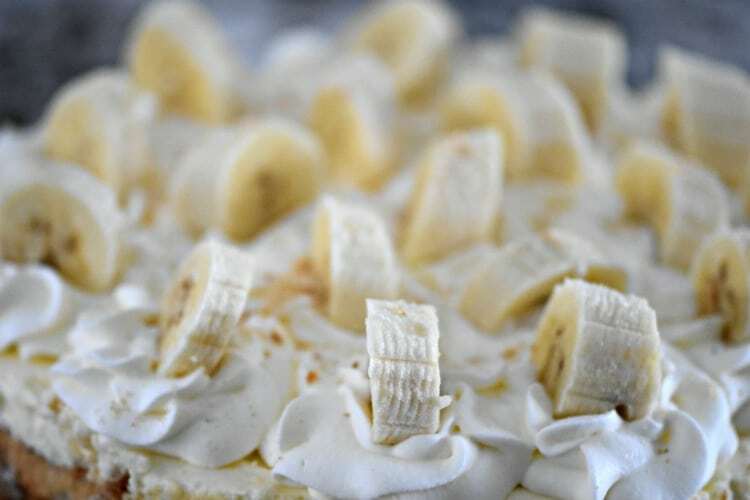 It gets topped with bavarian cream and then fresh whipped cream and banana slices. Why not guild the lily with some caramel sauce, too? Go for it! 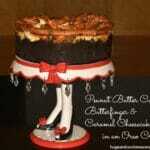 Adapted from the amazing Life, Love and Sugar! 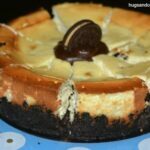 Learn about the cheesecake moat here! Line a 9-inch (23cm) springform pan with parchment paper in the bottom and grease the sides. Combine the ingredients and press into bottom of the pan and up the sides. Bake 10 mins. Cool and lower oven to 300 degrees. Prepare a water bath or use a moat pan as I like to do. In mixer, beat cream cheese, sugar and flour on low. Add one egg a time until smooth. Shut oven off and keep cheesecake in closed oven 30 mins. Crack the door open for an additional 30. Let cool to room temp and place in fridge to chill. Mix gelatin into milk and set aside. In a bowl, whisk yolks. In a saucepan, heat the cream, sugar and vanilla to warm up. Slowly pour hot cream into eggs and then pour it all back into pan until 160 degrees. Add the gelatin mix and stir smooth. Transfer custard to a clean bowl and place in a larger bowl with ice in it to cool it down. Meanwhile, whip cream and sugar to stiff peaks and fold into cooled custard. Spread over the cheesecake and chill hours. 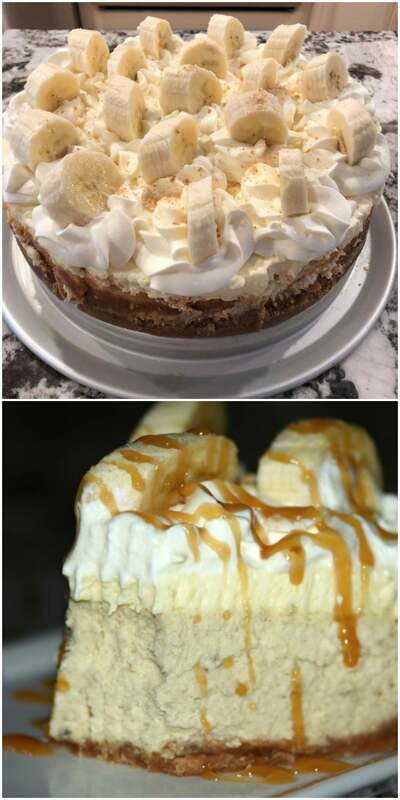 Pipe onto cake and add sliced bananas. 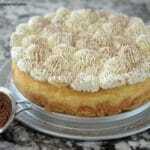 Sprinkle with extra Nilla Wafer crumbs if desired and serve with caramel on the side. Not sure but you have 2 heavy creams? Am I missing something? In the directions I dont see adding cream twice?